Does lace get you down? Are cables leaving you twisted up? 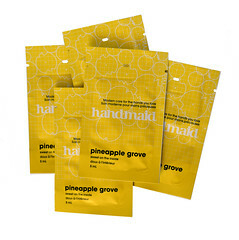 Cuff au Lait is the mitt for you! The cuff on this one is actually a mock cable. All of the texture is achieved by making strategic increases and decreases which move the stitches around on the fabric without actually having to move them. Ingenious! This is also a great project if you are uncomfortable working in the round. The cuff of the mitt is worked flat, so there is very little working in the round. So first knit the cuff. I knit mine on a circular needle, but a straight would work as well. 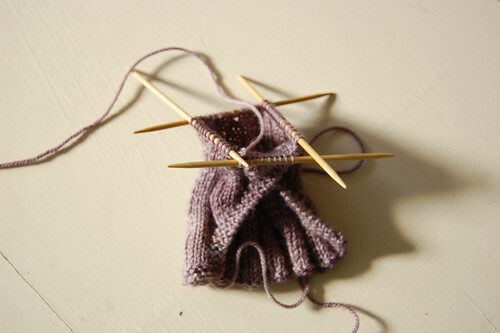 Then divide your stitches across the needles you will be using to knit in the round. You could divide them across two short circulars, or for magic loop. The white dpn on the far right are the 8 or 12 stitches that have been slipped off. Whatever technique you use it is probably easiest to put those ones on a dpn. Curl your knitting up so that the left side (the side with your working yarn attached) goes over the spare dpn. In the instructions it says to knit the stitches from the front and back needles together. To do this insert your needle through the front one as normal, then slide it into the back one as well. 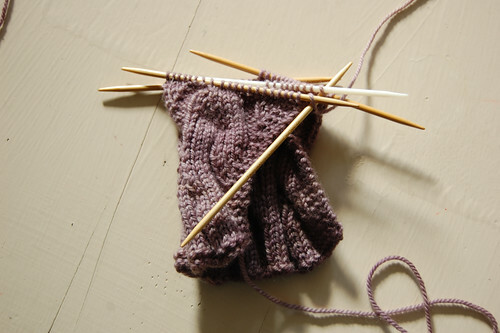 Wrap your yarn around as normal, then pull it through both loops, and push both stitches off the needles. Do the same for the remaining needles. And voila! The stitches have overlapped. 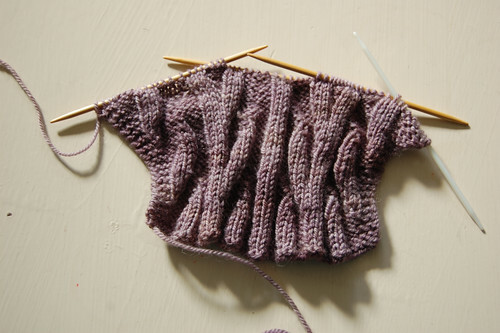 You can continue to knit the cuff in the round. 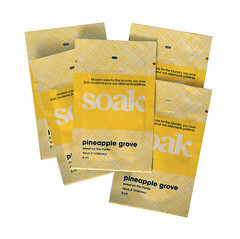 As always we love to see and hear what you have done with your Soak products. We’ve found another Soakbox Finished Object post for you to enjoy! 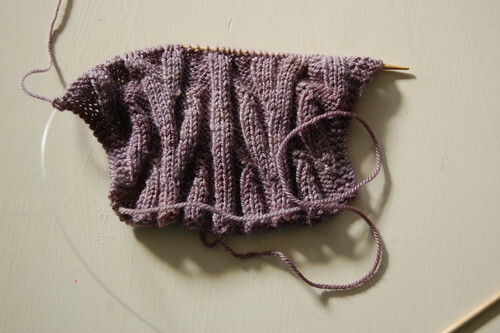 Katie knit up her Cuff Au Lait Mitts and wrote all about them. Thanks Katie!